TL;DR I'm building a custom WordPress dashboard for an enterprise client which is powered by React.js on top of Node.js with MongoDB Atlas as the database. This dashboard uses several Microsoft Azure services, e.g., Cognitive Services, Azure App Services, and especially serverless ⚡ Azure Functions. In this post, you'll learn how to build a small module from it and the reason behind my choice of stack, apps, and products. 🚀 One of my enterprise clients who owns a huge networking and media company has a large-scale WordPress site set up. 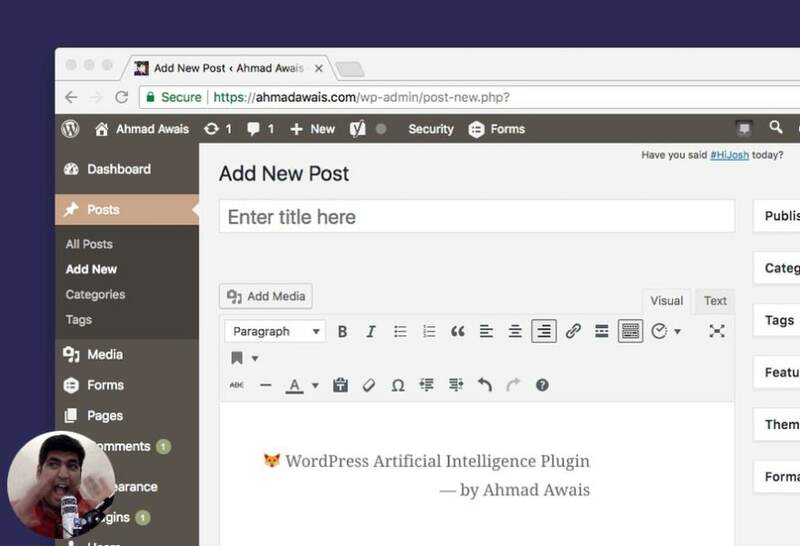 He recently consulted me about the possibility of building a custom WordPress dashboard (based on the WordPress REST API) — to help him make intelligent business decisions via Machine Learning and Artificial Intelligence. 🎟 So, after researching my options for a bit — I opted to use React.js on top of Node.js to start building the custom WordPress dashboard. While the project is in its ideation phase at the moment, I think it's important that I share some of our goals here to define context behind my choice of the stack. Imagine you own a large networking company where over 500 hotels (in three different countries) use your services to power their conference halls, IT meetings, and online property management like the sites and blogs. That's what my client does. Most of this is powered by a huge multi-site WordPress instance that manages everything for the hotels, websites, online booking, registrations, events, tickets, reviews, and comments. There're also other systems running different software which are able to produce content via REST API. We've set out to create a custom WordPress dashboard with many goals in mind but I'm listing a few of them which are related to this particular article. Take a look at what I have built so far, it's all based on serverless Azure functions — which are pretty awesome. The custom dashboard will report all the high-level data, e.g. things like live sales happening throughout my client's portfolio (500+ hotels), entity/time based and date based breakdowns. And that how each of his franchise performing on a daily, weekly, monthly basis. All of this data is being fed to MongoDB Atlas. More on that later. Most of the modules are to built upon serverless architecture — which in this case provides huge benefits. All the automation is always running and the cost is paid as you go i.e. pay for what you use. An initial rough estimate puts this solution 34% more economical than having a server VM running all the time. We are using Azure Functions for this serverless automation. There are about ~200 IT managers working for my client who have IoT enabled devices that feed data into several online projects. This custom dashboard also includes that data for making better decisions and connecting the whole registration, management, maintenance team's hub into a single place. As you might have already guessed, this project makes use of IoT Hub from Microsoft Azure to connect, monitor, and manage all of the IoT assets. We're using a lot of different services from Microsoft Azure for the sake of making this dashboard artificially intelligent by Machine Learning. There's a huge dataset that is fed to the ML Studio which later helps us predict different decisions like space management, low registrations trends for IT events, and questions like why and when these things happen. While the Machine learning part is beyond the scope of this article, I still plan to touch the base with some of the awesome Artificial intelligence I've been able to cook in via Azure's Cognitive Services. One of the most important aspects of this custom dashboard is that it's live and real time. Which means, I need a managed database that can cope with this amount of data and still stay highly available. But at the same time, it's for the management purposes and doesn't need to have any impact on the WordPress sites. That is a crucial system design decision for this dashboard. By that what I mean is we can do all sorts of experiments with this custom dashboard but it shouldn't have any impact on the database/servers which are running the multi-site WordPress instance. For this custom WordPress dashboard, I am using MongoDB Atlas as a DBaaS (Database as a Service). And I couldn't be happier. When I first shared that I'll be using MongoDB, many developers had concerns. Most of the questions were about why add another layer of complexity by adding yet another database to the mix. Why not use the WordPress database as it is. To answer these questions and more I have prepared a list of reasons to why I am using MongoDB Atlas. I personally dislike relational databases. Most of the times, for me they get in the way of building applications. I have to completely get out of the app I am building, think about my database in future and design a good schema which always ends up in a bad exercise for my dev-workflow. It's counter-intuitive at best — at least for me, it is. Old databases were mostly designed in a way to save disk space among other things. This led to a plethora of problems like normalization, indexing, and made sharding, auto-scaling, and replication harder. Nowadays, disk space is dirt-cheap. On the other hand, CPU/RAM is not and your sys-admin cost can skyrocket very quickly if you end up with a bad choice here. Like you wanted to create a custom dashboard but your system design architect cost you two sys-admins with how he chose to design your system. Similarly, my client wanted a managed solution without having to hire a team of IT/DevOps folks — at least for an experimental custom dashboard. Schema-less. Flexible schema for-the-win. I don't have to change anything, my regular app-dev workflow, creating a Node.js based app where I am manipulating with JSON type data, I can just feed that into MongoDB and it just works. Workflow-consistency. Creates documents the way my custom dashboard is represented. Sales, Videos, Talks, Comments, Reviews, Registrations, etc. all of that have similar data representation on the frontend and the backend — and even in the database. I manage 3rd party data via middleware. This consistency translates to clean code. Cost. Depends on which RDBMS of course, but MongoDB is free and can run on Linux, ideal for running on cheaper commodity kit. Well, now that I know MongoDB is the right database choice, there are so many different options to host your database. I can self-host on my Linux machine via DigitalOcean, use a cloud provider like AWS/Azure or a choose a DBaaS service specific to MongoDB. But I want a fast, secure, and managed MongoDB solution that I can easily scale with the growth of the number of modules we attach in this custom WordPress dashboard. That's MongoDB Atlas. MongoDB Atlas is a cloud-hosted MongoDB service engineered and run by the same team that builds the database. And guess what, I trust that they follow the best operational practices since they are the ones who're building MongoDB in the first place. Also, the fact that MongoDB Atlas is supported cross-platform as well as cross region and across different cloud providers makes it a much better choice. I think each Cluster comes with two replica sets, ready to scale. Now that we are going to work with MongoDB, it'd be great to have a tool through which we can explore our database, view the changes, debug and what not. For this purpose, MongoDB again takes the lead with a product called MongoDB Compass. Take a look. I suggest that you go ahead and download MongoDB Compass. Visualize and explore: Take a look at your database, find out how things are looking, and even visualize stuff like maps/coordinates. Insert, modify, and delete: You can also perform CRUD operations for your DB right from MongoDB compass. Makes testing easier. Debug and optimize: Finally, analyze your data, debug it and even find out about performance issues right inside a great GUI for your database. This tool is a must-have if you work with MongoDB. Extensible: And the best part is you can build your own plugins to extend MongoDB Compass. Here's the documentation on building your own Compass plugins. Enterprise Flavor: MongoDB Compass comes in a few flavors: Community (Free), and Enterprise (Licensed) — the Enterprise version is the one that lets you visualize DB schema. Let's get started and build a simple module which's part of the custom WordPress dashboard that I am building. For this module, we are collecting all the sales related data. For that, we need a MongoDB instance, and we're of course using MongoDB Atlas here. Go to the MongoDB Atlas site and register a completely free MongoDB instance hosted on AWS, with shared RAM and 512 Mb storage. Click the Get Started Free button. Now go ahead and sign up with your email ID and fill up the details. It's amazing that you can sign up and use a free MongoDB Atlas hosted DB instance and they don't even require you to add a credit-card for that. Now you'll be redirected to a page with a bunch of information about the new MongoDB Cluster you're about to create. I suggest that you review this information, and move ahead by clicking the Create Cluster button at the bottom just like in the screenshot below. It'll take a minute and your DB will be created. Once that happens, head over to the Security > MongoDB Users and click on the + ADD NEW USER button on the right, to create a new user for your database. Let's keep all the other settings set to default for the sake of this intro-article. I'm setting the user/pass as usermongo but you know better. To be able to access your MongoDB Atlas database, you need to setup the IP Whitelist with the IP of your server where your app is hosted. Authentication is beyond what I am discussing here so for the purpose of this demo let's just allow everyone (which's actually a bad practice in production). So, again, head over to the Security > IP Whitelist and click on the + ADD IP ADDRESS button on the right, and finally ALLOW ACCESS FROM ANYWHERE button to allow the anonymous access. Now that our DB's IP access and a user has been created, we can pick up the connection string and use it to connect to our database with our MongoDB Compass application. Go to Connect then choose Connect with MongoDB Compass and download compass if you haven't till now, copy the URI Connection String. Finally, open Compass and it should be able to detect the connection string in your clipboard, allow it to connect to your database. Now that we have created a MongoDB Atlas, connected it with MongoDB Compass, we can move forward and start building our Node.js application. WordPress REST API — FTW! This WordPress based Node.js custom dashboard interacts with the WordPress instance via WordPress REST API. Since this is a Node.js app, I am using an awesome library called wpapi written by K Adam White. He has also built a demo express based WordPress app. That's what I got inspired by while building this custom dashboard. SO, you'll see a lot of it here. The router is set up with express. Here's a basic error handler and router template for using WordPress with express. I am not hosting this entire thing on WordPress, but the initial plan was to do just that. If you want to go do that, you'd wanna build the index by querying all the info using the RSVP.hash utility for convenience and parallelism. For that here's what you should do. For this setup, you'll also need to authenticate your Node.js app by giving it the authentication data, which along with wpapi can be processed like this. Beware this is not always a best practice if you don't use correct permissions and environment variables settings. All the pages of a paged collection. An alphabetized list of categories. A specific category (specified by slug) from the content cache. An alphabetized list of tags. Other content required to have some feature parity with WP. The code for this looks somewhat like this. Finally, I have cooked in quite a few custom routes from where I can attain any kind of sales related data. For the particular architecture I have in place, I'm again using the RSVP.hash utility for convenience and parallelism. It works like a charm. Once I have that data, I am %}sending it to Paddle.com for processing along with the purchased order request so that it can be added to our MongoDB instance via serverless ⚡ Azure Functions. It might look odd to some but WordPress allows you to set up custom post types and custom taxonomies which is what I'm using here, the above code, however, is not the exact implementation but a similar approach to what I have used via categories and tags. This data gets sent Paddle, and it's heavily cached so that our WordPress instances do not get any sort of load while we experiment with the custom dashboard. I've also cooked in a small data-refresh module which fetches the data on demand from the WordPress instance of choice. Now, this is only a high-level summary of what's happening, there's a lot of steps that I skipped here like authentication which is beyond the scope of this article. You should always setup authentication and verification to keep things civil and avoid any overage. So, let's go ahead and build this thing. In case you're wondering which theme and font I am using, it's Shades of Purple 💜— for more info see which software and hardware I use. 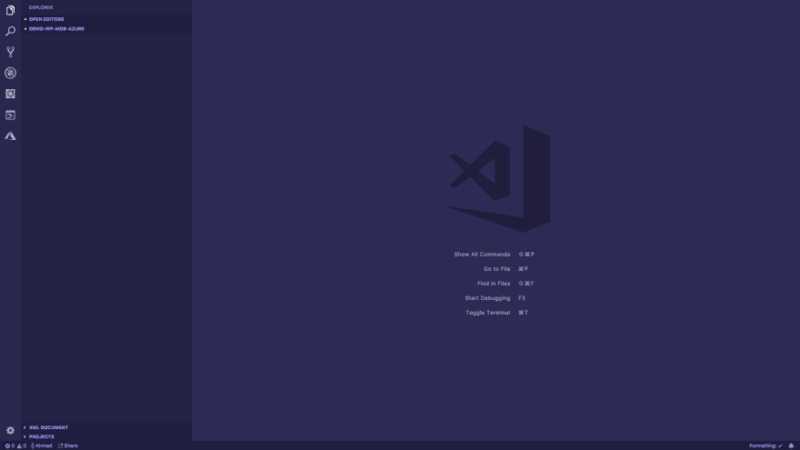 VSCode also asked me to update the function extension app versions to beta, and I chose yes — coz that will help me use Node.js v8 for async/await. Prepare yourself for a mouthful. I created a small part of the Sales module in the custom WordPress Dashboard app that I am building. I used MongoDB Atlas and Compass, then created Microsoft ⚡Azure Function via Function App with VSCode, deployed the app with env secret as application string with the MongoDB connection string, updated the Node.js version and triggered the function via a dummy webhook from Paddle.com (like it will trigger when a sale happens) to send data (from Paddle + WordPress) to our Azure function and from there to MongoDB Atlas. And it worked, haha! Machine learning and artificial intelligence are always a mesmerizing topic in the world of software technology but we don't talk a lot about that in the context of WordPress or in the WP Community. I set to change that by adding a few small improvements to a select few WordPress sites for my client and have every intention of exploring the same with this custom WordPress dashboard. I have discussed this topic before and shared what I am working on, take a look at this small artificial intelligence plugin I am building for WordPress, and integrating it with different Azure Cognitive Services. 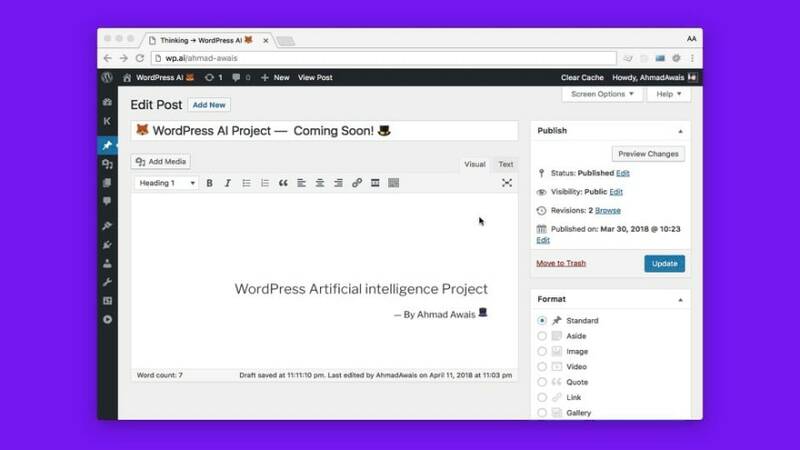 🦊 Sneak-peek of a @WordPress AI #ArtificialIntelligence project I've been working on. I've accomplished similar results in this dashboard by the wpapi package. 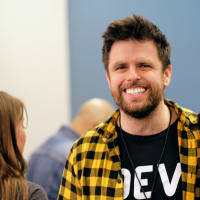 First I upload the image to cognitive services and then on a confident response, I send it to WordPress to uploaded via WordPress REST API, with image description that gets generated by Computer Vision AI. 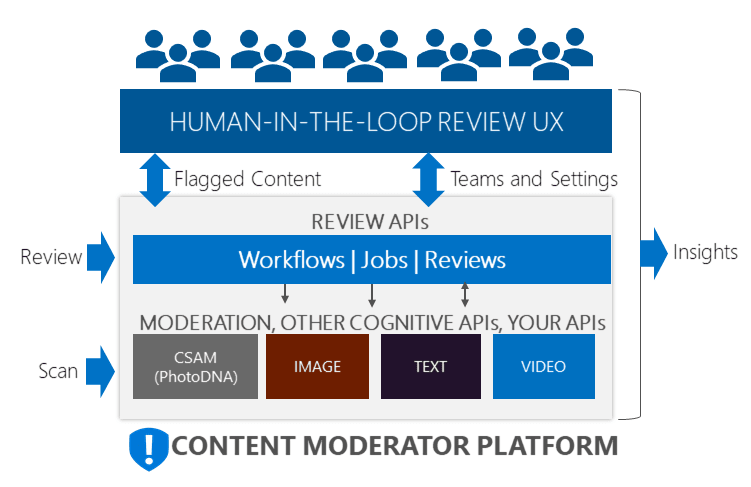 One of the ideas we have is to put AI/ML from Azure to use as a content moderation platform which offers a built-in human-in-the-loop + machine learning to help moderate images, text, and videos. It's a work in progress but it's something really interesting that you should definitely take a look at. Y'all have a habit of typing the typos over and over again. I do that all the time. The coolest thing ever is when search engines like Bing and Google can spell check and proofread the search query for you. What if WordPress had that?! — So, I got to work and ended up cooking the same functionality in the WordPress admin area for when you type a typo in your post title or more than one typos for what I care. My 🦊 WordPress #ArtificialIntelligence plugin update #2. Going to write about it in an article I publish this week. This project is a lot of fun. I think if you give this tech-stack a shot you can have this crazy amount of fun as well. So, leaving it up to you to try MongoDB Atlas, in the context of WordPress — and maybe attach all that to a bunch of serverless functions. ✍️ I wrote 7,000 words/code/gifs on how I'm building a @WordPress App with @nodejs @reactjs — A good weekend read. It'd mean a lot to me if you share this post on Twitter → Also feel free to say 👋 to me there at @MrAhmadAwais. Great post, thanks for share!